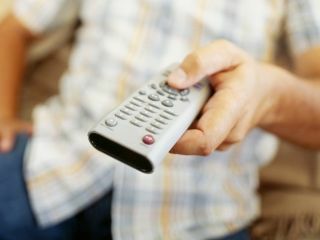 In the future, we may well be able to control our televisions simply by thinking of what we would rather be watching! The latest research into thought-controlled technology from the University of Washington suggests that mind-controlled computer input is one big step closer to reality. The research team has discovered that interacting with brain-computer interfaces lets patients create "super-active populations of brain cells" and that "a human brain could quickly become adept at manipulating an external device such as a computer interface or a prosthetic limb." The latest research shows how the brain can control an on-screen cursor are published this week in the 'Proceedings of the National Academy of Sciences'. "Bodybuilders get muscles that are larger than normal by lifting weights," said lead author Kai Miller, a UW doctoral student in physics, neuroscience and medicine. "We get brain activity that's larger than normal by interacting with brain-computer interfaces. By using these interfaces, patients create super-active populations of brain cells." Brain Control Interface (BCI) headsets are being developed primarily for medical applications, such as the possibility of helping stroke victims or those suffering from the tragically debilitating "locked in syndrome" whereby they have no means of communicating with the outside world. Control of a TV or PC via BCI is a spin-off from this research and, while not yet achievable, is looking like it is now a real future possibility. Research scientist Dr. Gerwin Schalk is one of the leading authorities in the field of BCI, a 12-year veteran in the burgeoning and fascinating area of brain controlled tech. Dr. Schalk is currently working on the SIGFRIED project which lets researchers understand and interpret data from the sensors used in brain controlled tech. You can see a fascinating and revealing interview outlining how Schalk's latest research brings mind-controlled computing one step closer over at Extremetech.com.